I help couples who are considering separation and/or divorce reduce conflict, emotional and physical pain, negative impacts on their children, and their legal fees. By working together, we will create a structure to discuss the preliminary issues. If either or both members of the couple decide to consult with an attorney, or mediator outside of our sessions; our work will result in both members of the couple being better organized for that process. We will also review the different aspects of Healing Separation, which is structured time apart that can help a couple heal their relationship that isn't working. Healing Separation can also help revitalize and renew a relationship that is working. In addition, we will also discuss divorce and aspects such as mediation, collaborative divorce and litigation. I help my clients who are considering divorce or separation by structuring our sessions to keep the priority on making decisions and compromises. My clients reduce their legal fees because as a result of our sessions, they are better able to present their questions or requests to their legal advisor with clarity. In addition, the emotional and physical toll is reduced because disagreement and stonewalling is worked through in our sessions, thereby saving some of the attorney costs. 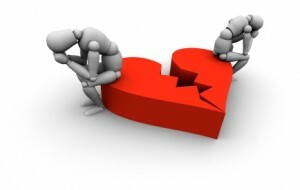 Divorce or Separation Counseling is not Couples Therapy. Divorce or separation is generally a very delicate time for my clients; where I provide a very confidential and comforting environment to help them through this difficult time. If you have children, my background as a former teacher and school counselor, and current licensed professional counselor, will provide the professional assistance of how to support the emotional, physical, and educational needs of the children. I also have two Masters' degrees; one in Counseling and the other in Education. There are situations when counseling can help a couple to see that a separation may provide them both with needed time apart to better understand themselves and their relationship. When one or both partners decides that aspects of their relationship are making it difficult for them to be happy, it is imperative that they work in a counseling setting where individual needs can be discussed openly, and communication occur in constructive and safe ways. It is never an easy decision to separate, therefore; I urge both partners to carefully consider all possible options. If the couple does decide to separate, we process clear goals and try to develop parameters. A separation can give a couple who is considering divorce a chance to create some space and get a better perspective on their relationship. Unresolved conflicts have sometimes been left unaddressed for so long that one or both partners feel like the damage they have caused or experienced can no longer be repaired. For others, they may become aware that they are incompatible in some fundamental aspect of the marriage that precludes a functioning partnership. Couples contemplating divorce can benefit greatly from working with me, as we carefully consider the options, and try to get a consensus on the important decisions that need to be made, for the partners and for their children. In counseling sessions, we can discuss openly and honestly about the profound impact that divorce has on emotional and physical health. Couples who are thinking of, or are in the process of getting a divorce, are at a very vulnerable place in their lives, it is essential to process things with a professional. *Counseling is not a substitute for legal advice and I encourage my clients to consult with an attorney for legal advice. Healing Separation is structured time apart which can help partners heal a relationship that isn't working, and/or help rejuvenate a stagnant one. Healing Separation is a working separation; in which partners dedicate themselves to their own personal growth that may ultimately lead to a relationship that is revitalized and relaunched. Healing Separation, like a "trial-separation,” can involve living apart for a while and/or within the same home; possibly in different bedrooms. Thus, the decision as to whether or not to end the relationship is put off for some time. Optimum success in Healing Separation requires that both partners be committed simultaneously to personal growth and self-care in order to build a healthy relationship with each other. There is a high correlation between the amount of personal growth each person does and the success gained in the Healing Separation. If both parties are committed and motivated to work on their personal growth and self-care (how you take care of yourself), the chance of relaunching their relationship is enhanced. Adapted from: Rebuilding: When Your Relationship Ends, 3rd. Edition, Bruce Fisher, PhD and Robert Alberti, PhD. Support for the couples or individual adults during the separation and divorce process can be provided in a number of ways. Separation and divorce counseling can be helpful in sorting through the many decisions that need to be made, in coping with the strong emotions elicited by a separation or by the divorce process, in learning to manage partners' emotional reactivity to one another, and in helping parents help their children deal with the emotional distress that accompanies parental conflict. *Also see my Co-Parenting Counseling page for more information on sessions that focus on Co-Parenting.